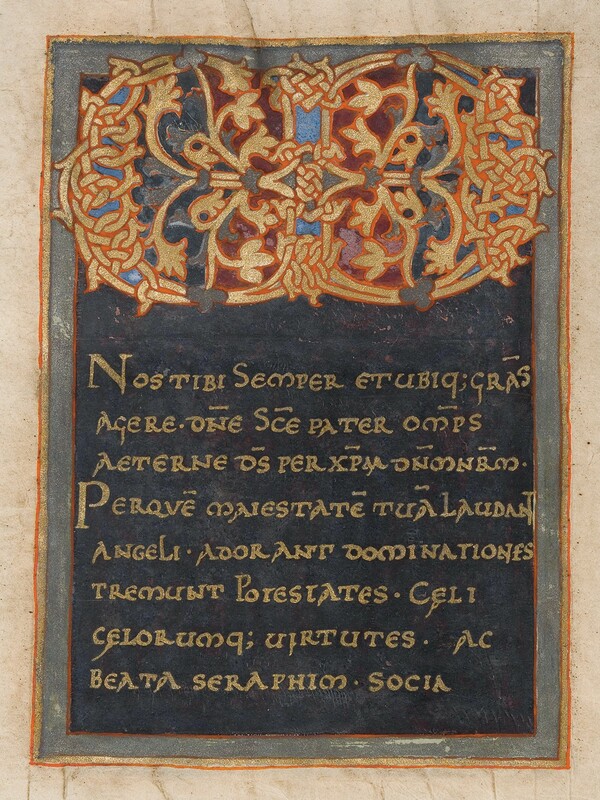 The Sacramentary of Beauvais in the collection of the J. Paul Getty Museum in Los Angeles (Ms. Ludwig V 1) is one of a pair of lavish liturgical manuscripts almost certainly produced in northern France by an Italian scribe, who also may have illuminated the volumes. In case you missed it: check out the beautiful gallery of the Sacramentary of Beauvais and find out all the facsimile editions available on Facsimile Finder! Only ten leaves of the original book have survived into modern times, those leaves clearly preserved because of their beauty and the generous use of gold and – more remarkably – silver. Included among the surviving leaves are three pages of text written in gold on painted purple grounds, a stunning full-page Crucifixion scene and a nearly full-page initial in gold and silver, as well as smaller painted initials. The complete manuscript was known to the seventeenth-century canons of Beauvais cathedral as the “Missal of Roger of Champagne,” and indeed, the sacramentary most probably was created at the behest of Roger of Champagne (d. 1016), the first count-bishop of Beauvais, who was named in an inscription on an early binding. Roger was renowned for having endowed the cathedral with precious goods, including the sacramentary and two other sumptuous liturgical books. A sacramentary contains the prayers given by the celebrating priest at mass. The Sacramentary of Beauvais preserves all of the Eucharistic prayers, which are invariable throughout the liturgical year. Among the various prayers on the surviving pages are those for two Christmas masses, Easter and Ascension. The manuscript, which never had a full series of Sunday prayers, clearly was a book for special occasions, and the addition of the names of Saints Quentin and Cassien to one of the prayers suggests that one of the special occasions was the consecration in 1069 of the church of the Augustinian monastery of Saint-Quentin de Beauvais, founded by Guy, bishop of Beauvais, in 1067. 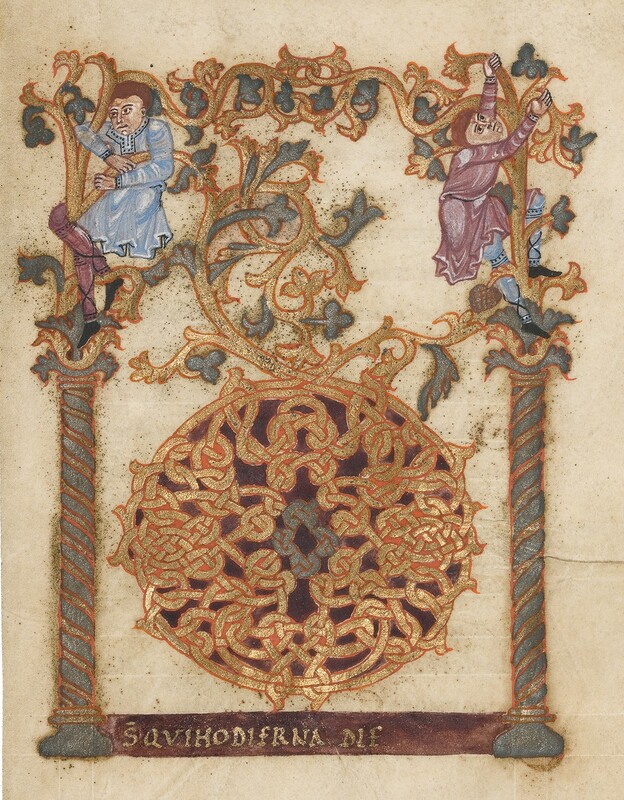 The anonymous illuminator of the Beauvais Sacramentary, working in paints of precious metals as well as more traditional pigments, was skilled both in the intricacies of sophisticated interlace and in the convincing depiction of the human figure. The interlace on the Crucifixion page and the interlace of the letter D for Easter are each composed of three separate strands of strap work. 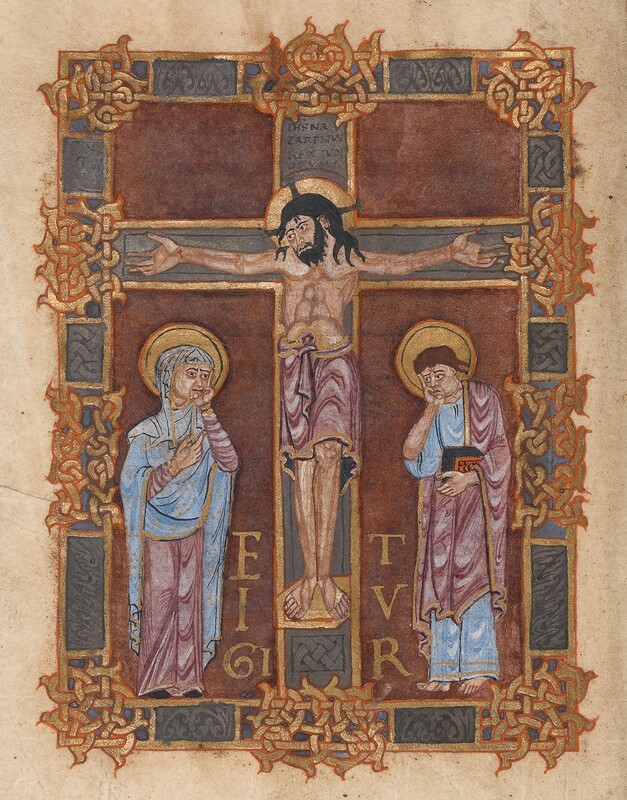 On the Crucifixion page, a single, continuous strand defines the cross, and two others comprise the frame, all interlocking into a cohesive whole. Exuberant though the interlace may be however, it does not detract from the focus on Christ’s role in salvation history and the painter has conveyed masterfully both the human figure, especially in the musculature of Christ’s torso, and the pathos of the event. The work of the scribe of the Beauvais Sacramentary can be found in a French Gospel lectionary, written according to its dedicatory inscription, by a scribe “from Italy, which surpasses all realms of intellectual brilliance” (Paris, Bibliothèque nationale de France, MS lat. 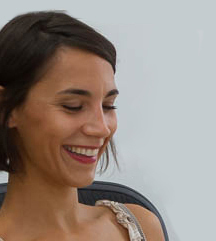 1126). Aspects of his writing show a familiarity with Milanese conventions, and it seems that this Italian scribe was employed in manuscript creation north of the Alps much as teams of Lombard sculptors helped to create the new stone churches of early Capetian France.